Although my personal knowledge of the vodka business is very limited, several articles – explaining in detail how the alcohol business works in Russia – do exist. They also throw some light upon the crises our alcohol industry has experienced in 2006, 2009, 2010, 2011 directly affecting wine importing businesses regulations as well. The motivation and beneficiaries involved in these decisions and business schemes are clearly seen too. I strongly recommend this reading to everyone who wants to understand the nature of business relations, alcohol economics and “ethics” in Russia. The Federal Service for the Regulation of Alcohol Market (Rosalkogolregulirovanie or RAR) was established in 2008 and from the very start from the point of view of observers and alcohol market participants was engaged in questionable activities. Undoubtedly, the licensing procedure had turned obsolete by that time. Companies seeking the right to trade alcohol had to deal with multiple government bodies. As early as the 1990s, licensing procedure involved clearing issues with customs and tax services, the Interior Ministry, Finance Ministry, Rospatent, Ministry of Agriculture, Rospotrebnadzor, the Federal Tariff Service, and Rostechregulirovanie. Concentrating the licensing process in the hands of one government agency was an important achievement. However, as it turned out later, such centralization was not all smooth water. It has long been noted that the newly established agency had numerous rights and almost no duties. For example, the collection of excise taxes was still entrusted to the Federal Tax Service. RAR was given the so called carte blanche to conduct inspections of factories which in case of recorded violations resulted in all sorts of problems for entrepreneurs ranging from fines to the factories being closed down. Rostechregulirovanie shamelessly resorted to creating bureaucratic obstacles related to obtaining licenses, their renewal, suspension, and deprivation of such. Excise stamps were also a powerful weapon in the hands of RAR officials. A violation was recorded if an audit found at least one excise stamp of a thousand excise stamp package missing. Moreover, the RAR can even introduce amendments to the laws and set new rules, which sometimes happens regardless of the fact that enterprises are not ready to accommodate such changes. For instance, such changes of questionable advisability were introduced in the technology for processing distillery dreg, the main by-product of distilleries. In summer of 2011 the Federal Law N171 on state regulation of ethyl alcohol and alcohol products manufacturing and marketing, alcohol manufacturing was allowed only if by-products underwent complete processing or utilization by waste treatment facilities. Such a measure immediately put small and medium-sized producers at a disadvantage because they were unable to provide such utilization. This required large-scale investments and, most importantly, precious time which entrepreneurs were losing up to the moment when the plants finally reached a state satisfying RAR inspectors. Introducing changes to manufacturing process took up a total of almost six months, to the benefit of larger producers like Rosspirtprom JSC. In 2011 the overall number of distilleries in the country dropped by 32% to 341 companies. It is for a reason that RAR is associated with Rosspirtprom Company. The link between ongoing draconian measures by RAR aimed at eliminating the so-called troubled businesses and the immediate interests of Rosspirtprom became obvious after the scandalous letters sent by Rosalkogolregulirovanie to trading companies, mostly wholesale. 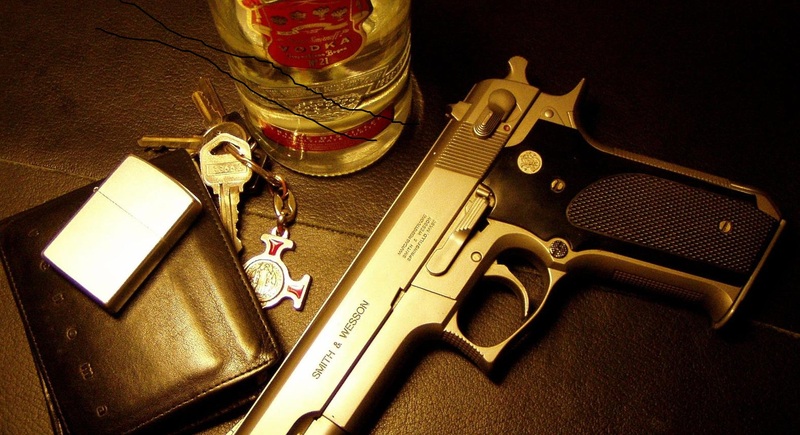 In the letters RAR, using the pretext of anti-alcohol campaign in the country, aggressively encouraged traders to get their supplies from Rosspirtprom and to sell certain brands of vodka, including Kazenka, a unique brand by Rosspirtprom. Entrepreneurs who did not want to be deprived of their licenses had to obey and follow the RAR “recommendations”. The Federal Antimonopoly Service (FAS) tried to intervene, but to no avail. All changes introduced in the first six months of 2011 as part of anti-alcohol campaign were in fact aimed at one thing, namely at bringing the spirit drink market under the control of RAR, crushing the medium and small business sector. More than 2500 entities engaged in alcohol industry were small businesses difficult to control. RAR sought to shake the market up and enlarge the average size of entities in it. A wave of inspections was directly linked to the new package of anti-alcohol laws passed by the Duma. In accordance with newly adopted legislation, Federal Law № 171 was amended so as to contain the mentioned draconian requirements to enterprises. During a closed RAR meeting on 22 March 2012 agency officials stated with satisfaction that over the previous year the number of market participants fell by 22% from 2630 to 2041. The number of licenses reduced by a quarter from 3037 to 2264. Moreover, the wave of law suits that submerged so many companies as part of the «strategic enlargement» of entities within alcohol market in Russia had no bearing whatsoever on Rosspirtprom. Virtually none of Rosspirtprom entities was involved in litigation with Rosalkogolregulirovanie. The fact that over a dozen manufacturers within the holding did not suffer from the new legislation and resultant law suits leaves little room for doubt that it was a coincidence. The conclusion made ​​by analysts has it that Rosspirtprom is involved in the monopolization of the market through RAR that helps it rid of competitors. Rosspirtprom is part of the financial-industrial empire of the Rotenberg brothers who are friends of Vladimir Putin. Arkady and Boris Rotenberg went to the same judo classes as Putin, but they saw no opportunities to rise above this level. Everything changed in 2000. In late February Arkady Rotenberg through his friend Sergey Zivenko and Viktor Zolotov, chief bodyguard of Vladimir Putin who at that time was acting president, reached the establishment of Federal State Unitary Enterprise Rosspirtprom which united about a hundred state-owned distilleries. At first the «Ministry of alcohol» was headed by Sergey Zivenko. The official partnership of Rothenberg and Zivenko focused on wholesale company Zirot. In 2002 Zivenko was fired from the Federal State Unitary Enterprise and replaced by Igor Chuyan, one of the most notorious persons in the market of spirit drinks. Later it was Chuyan who headed the newly established Rosalkogolregulirovanie. Igor Chuyan’s tattered reputations may be further damaged by the background of his impressive success. His career path has a noticeable gap in the 1990s. There is only the information that in 1997-1999 he worked at a private security company SGS and was its co-founder. While working for a security company is not a crime, it is well known that private security firms in those years provided semi-legal services and at times were full-fledged organized crime groups that this way “changed the format of their activities”. From 2000 to 2002 he worked at the factory producing sparkling wines in St Petersburg. Chuyan’s career went up in 2001 when the Rothenberg brothers founded SMP Bank in St Petersburg. The bank manages the cash flows of Rosspirtprom and a large number of companies engaged in its activities. Chuyan is most likely to have participated in that project. His long-standing connections among those close to Vladimir Putin, in particular, Viktor Zubkov, were also of help. A year later Chuyan was invited to Moscow and appointed deputy CEO of Rosspirtprom headed by another friend of the Rotenbergs, Petr Myasoedov. In 2006 during the reorganization Chuyan finally became the head of Rosspirtprom. He immediately took measures to repay debts of the entity that used to be part of a unified body, including debts to tax authorities. To clear off the debts Igor Chuyan took out a loan from VTB bank. The loan amounted to more than 5 billion rubles, despite the fact that the entire share capital of Rosspirtprom was only about 9 billion and annual turnover ran up to a little over 1.1 billion dollars. The entity used for loan guarantee 11 alcohol enterprises, a controlling stake in which was owned by the state. The loan was not paid out and the plants had to be given over to the bank. From October 2009 to April 2010 the Arbitration Court of Moscow ruled to transfer some of the state assets to VTB to repay Rosspirtprom debt. Interest and penalties totaling to 1.712 billion rubles were also to be recovered from the debtor. According to an anti-crisis measure, publicized by the Kremlin officials, VTB had to transfer these shares in trust management by the Federal State Unitary Enterprise for five years and up until 2015 could not sell them except to Rosspirtprom. After this period the state was to have a preferential right to purchase the businesses. But in mid-2010 a total of 86% of the shares in Crystal, one of the enterprises belonging to Rosspirtprom, resulted in the hands of Russian aluminum magnate Vasily Anisimov in exchange for 5 billion rubles. He and the Rothenbergs knew each other through sports. At that time Anisimov was head of the Russian Judo Federation. This acquisition clearly placed the distillery’s financial problems on the non-ferrous metallurgy, and that helped Rosspirtprom to keep afloat. This acquisition allowed Chuyan to pass on to a higher career level. His appointment as head of Rosalkogolregulirovanie involved using connections, which is clear from the fact that Chuyan performed the same functions as deputy prime minister Zubkov in the government commission on Alcohol Market Regulation since November 2009 and on the board of directors in Rosspirtprom since July 2009. It was at this time that yet another notorious person joined the state “war-on-alcohol theatre». In 2005-2007 Victor Zvagelsky was Rosspirtprom deputy CEO and now he is a State Duma deputy. Back in 1992-97 Zvagelsky started his business by establishing a dozen companies involved in somewhat elicit activities. Among those companies there were Amalgama, Iks-Ring, Vtoroi Vitok, Magistral, Larisa plus, Soyuzproduct and so on. Among his partners in the entities there was a number of entrepreneurs and gangmen, however, only few proved to be long term ones. In 1998 Zvagelsky, Leonid Vigdorovich, Tatiana Iremashvili, and Aleksandr Mayorov bought Krasnaya Zvezda vodka distillery in Moscow region. Later the plant was renamed to Artel Yat. In 2003 Zvagelsky was charged with organizing a criminal association, fraud and tax evasion. The damage caused by him and his accomplices from an Ingush gang amounted to about half a billion rubles. Termination of the case cost Zvagelsky much efforts and money. The notorious vodka brand Kazenka, which was created with the direct participation of Zvagelsky and, which is not surprising, a co-founder affiliate of Chuyan, cost the newly appointed deputy large investments. This allowed killing several birds with one stone for both parties concerned. Zvagelsky had a material interest in the sale of Kazenka which Chuyan helped him to market through his agency. Igor Chuyan also helped Zvagelsky to take out a 5 billion rubles loan in VTB for brand promotion and improvement of production lines. So now Zvagelsky had a debt that concerns his partner. For several years and to no avail the head of Rosalkogolregulirovanie has been demanding deputy Zvagelsky to repay the debt. The deputy still cannot manage to come off the liquor business. He is pinned to it not only by the huge debt to his partner, but also his difficult-to-sell Yat brand that also involved a person affiliated with Chuyan. However, Chuyan serving a guarantor for the loan has nothing to do with pure help since it is unlikely the two men had friendly relations. Zvagelsky was to lobby the interests of spirit drink industry in the State Duma in exchange for such assistance. Such lobbying concerned the 2011 package of laws mentioned earlier in the article. In the second reading the package was adopted as amended by the RAR, although the original government version still had some differences. As the agency itself does not have the right to initiate legislation and make direct amendments on its behalf, the required amendments were introduced by Zvagelsky, who put his signature on the 171 amendments recommended for adoption. He defended them during the committee meeting and then at the State Duma. The blow prompted by RAR was aimed at major beer manufacturers, and Zvagelsky in this case was simply an instrument through which Chuyan’s agency pursued its interests. It should be noted that Zvagelsky was not quite efficient as a lobbyist. None of his alcohol law amendments that were not consistent with the RAR and then formally with the government commission headed by Zubkov, reached consideration by the State Duma. Since 2008 he initiated 46 bills, most of which failed. This applies, for example, to the technical regulations on wine products which was shelved as early as in 2010. Personal ambitions of Victor Zvagelsky go no further than occupying posts, and preferably higher ones with more funding. He never strived for political influence which is alien to his nature. Take, for example, the expected progress in the adoption of the «right course» which will be held no earlier than June-July 2012. It will mostly encompass businessmen that are members of United Russia, but Victor Zvagelsky definitely will not be a leader. The leading role is claimed by Andrei Makarov, Vladimir Pligin, and Igor Igoshin. Zvagelsky may enter the «right course» as an ordinary member along with other businessmen in accordance with the instructions from the top leadership. However, in the State Duma itself Zvagelsky relies on a political heavyweight, United Russia faction leader Vyacheslav Vorobiov. It was him who covered Zvagelsky from the criticism of Moscow’s mayor Sergey Sobyanin who had not approved his candidacy in the general list of United Russia deputies in the last Duma elections. In the Duma of the new convocation Zvagelsky was to head the Duma Committee on Economic Policy, Innovation and Entrepreneurship Development, as planned by his fellow deputies taking into account speaker Sergei Naryshkin’s benevolence to Zvagelsky. But Vyacheslav Volodin, the first deputy head of Presidential Administration of Russia, intervened as he had his own candidate for the post, thus upsetting the plans of other deputies. However, «Vodka King» still became deputy chairman of the committee, the second most influential lobbyist for the alcohol industry after Naryshkin. In exchange for the services rendered by Vorobiev, Zvagelsky is required to provide support for Moscow branch of United Russia and financial support for the claims of Vorobiev ‘s son Yuri seeking to fill the vacant seat of the Minister for Emergency Situations. While engaged in routine of hard semi-legal work, Viktor Zvagelsky does not forget about the «fair», according to him, reward for his efforts. For example, in his MP property statement Zvagelsky stated a BMW car with m553mr77 number plate. However, he drives a Mercedes with this same number plate. The BMW was missing in 2011. The declaration for the period does not specify the car in it. There was also no revenue from the sale. Strange things keep happening to Zvagelsky’s property. For example, his 2010 income declaration stipulated a total income of 2.7 million rubles. But when filling a similar document for Central Electoral Commission prior to the election, he did not bother to take stating income seriously and the document has a different figure for his total income, only 2.22 million. A reasonable question: where did the 500 000 go? Similar mysterious disappearances happen to other Zvagelsky’s property. Take, for instance, his land plots which he has 8, and actually 10. Moreover, they are all part of the same land plot ​​just over 1 hectare wide and 24 km long. The land plot is near Rublevo-Uspenskoe highway in a luxury village Cotton Way at Nikolin hill where Zvagelsky also owns two houses with a total area of ​​550 square meters that cost about 20 million dollars. The deputy bought another house worth 2 million dollars in 2009 in Gorki-10. An apartment he inherited in November 2010 in quite a dilapidated-looking building Zvagelsky sold in February 2011, but it was not included in the income statement either as real estate or in the form of income from the sale of it. Boris Aleksandrov, a United Russia official and Victor Abramov’s business partner. Finally, Anna Kozlova, born in 1985 in Lytkarino in Moscow region, the relationship which whom Zvagelsky prefers not to advertise. She accompanies Zvagelsky in a wide range of his trips. According to the archives, she is unemployed even though she graduated from Moscow Financial-Law Academy in 2007. But the generosity of Zvagelsky allows her to buy foreign-made luxury cars. Zvagelsky , a «Vodka King» and a State Duma deputy, assisted by his partner Igor Chuyan has achieved much in different areas of life. His connections in the political and administrative elite of the country are a vivid example of his success. The “club of Putin’s friends” that reaches into all priority sectors of Russia, enables individuals in the club to live a luxurious life. But no matter how cunning in terms of avoiding prosecution these people are, the truth will inevitably come out against the background of emerging political and social changes. And it is only a matter of time that such people are caught, prosecuted, and forgotten for good.